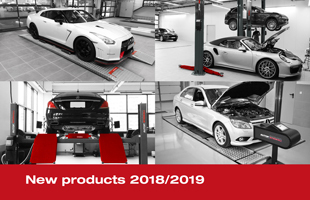 During the last ten years at STENHØJ GROUP, the company has acquired several new businesses in order to expand their portfolio of products and services portfolio. The STENHØJ GROUP sets an additional focus on PTI test lanes and a more full-service business concept on a global scale. Globally, PTI test lanes are a growing business. A company like STENHØJ GROUP still focuses on growing its strong core business, but the strategy also contains establishing new business areas. Tests lanes provide customers with total solutions, offering integrated systems with car lift, brake tester, light tester, emission tester etc. Today, only some countries have regulations that require mandatory test lanes in workshops, but there is no doubt that this situation is going to change. The demand for test lanes is very clearly on the rise, according to Søren Madsen, CEO at STENHØJ GROUP. – We see a trend where regulations are changing. Not only in several European countries, but also globally. This means that the demand for PTI test lane systems is steadily increasing. This is also the reason for the timing of establishing this particular business. It has been a strategic goal for some years now within the STENHØJ GROUP. Product development and some acquisition have been made to support this field of operations, says Søren Madsen. STENHØJ GROUP have acquired different companies that are specialised in different product components for test lanes – and with one of the recent acquisitions of STENHØJ Sweden (formerly Opus), the product portfolio is complete. The PTI test lanes will be marketed by the STENHØJ GROUP, and the focus is global. – We really look forward to seeing the results of this new strategy evolving. The whole automotive industry is changing, and there is no doubt that PTI test lanes will be an important future business area for a company like STENHØJ GROUP. Our products are state of the art, and we are already driving forward our ambitions to become among the market leaders in PTIs, says Søren Madsen. The increased focus on PTI requires a strong team and a competent leader to manage the new challenges. STENHØJ GROUP has appointed Chris Manby Head of Global Test Lanes who will be in charge of STENHØJ’s PTI activities. Manby has previously been employed at Gemco, a company within the STENHØJ GROUP, and has years of experience in the field test lane equipment and in the automotive industry overall. The new activities in PTI also mean that STENHØJ GROUP is looking for competent staff all over the world. – This is a significant business initiative and also a substantial investment for us. We are taking the PTI test lane business very seriously and are building a new organisation. Therefore, we are of course looking for skilled people to join us on this journey. Already now, we recommend potential applicants to contact us, says Søren Madsen.